These include 10 lighted courts and a main court with adjacent stadium style seating. All courts have full windscreens. Available to our Members, the Fitness Center includes a wide variety of cardio-vascular machines, weight lifting stations and free weights. The Fitness Center is air conditioned and includes a television for viewing. The Fitness Center is open during all Tennis Center hours, rain or shine. Our Clubhouse is an ideal spot to socialize between matches, to attend a special event, or to rent for your own special occasion. This air conditioned facility includes a full kitchen with ice machine, large screen television and tables/chairs. The Clubhouse is equipped with Wi-Fi access for our Members. For information on renting the Clubhouse, click here. We carry a full range of equipment in the Seal Beach Tennis Center Pro Shop. This includes a large variety of Babolat tennis racquets for adults and juniors, demo racquets and accessories. The shop also offers stringing with a one-day turn around stringing service. Stop by for all your tennis needs! Tennis Center Members may utilize our spacious locker and shower rooms. Need a little time to warm up before your match, or get some extra practice time in? We have a special tennis hitting wall area set aside just for you. 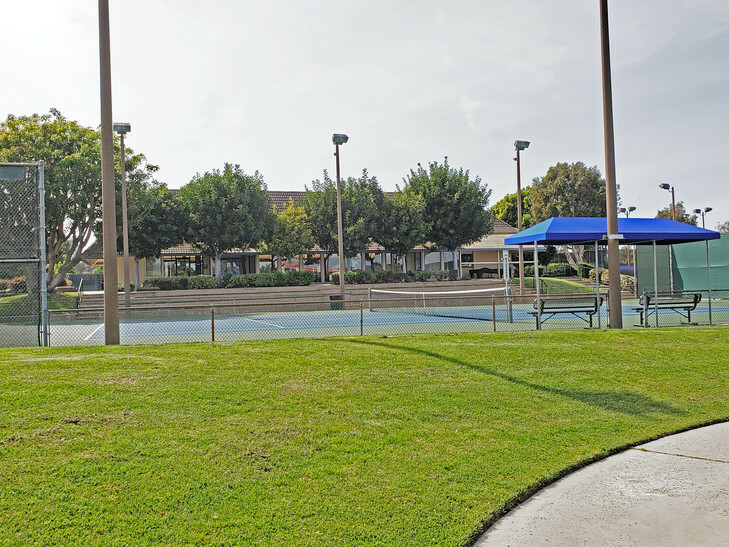 Our tennis courts are available for rental for tournaments and special events. Rental costs will be negotiated based on the size and schedule for the event. Click here for more information on tournament rentals. Our beautiful Clubhouse is available for rental for your special occasions such as birthday parties, anniversary events, corporate trainings, etc. Click here for more information on Clubhouse rentals. The general public may reserve courts 4 days in advance. SBTC Members enjoy exclusive use of the courts from 7:30 am to noon daily. Tennis Center Members receive free unlimited tennis court use.